One of the members of the track team and captain after Kinugasu graduates. A classmate of Suzuka's from junior high school. After hearing about Yamato's performance in physical tests, he actively persuades Yamato to join the track team. When Yamato came to him to help with making better times, he analyzed that data, found that Yamato was reaching his top speed too early, and made a training regimen for him. He believes Yamato has the potential to surpass Kazuki's skill. Before graduating, he chose Yamato to become the next track captain. 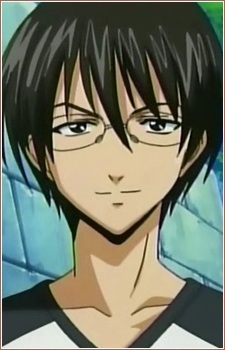 He is currently is part of Touto University's track team and was influential in Yamato getting his recommendation. Even though Yamato choose Seijo, he still wants him to perform his best.